If you're serious about mastering music theory, I promise you're going to love the new content and products coming later in 2019. Signup below to get exclusive subscriber-only content, your own download page, then get notified as it all drops in. Let's kick off the free stuff with this new premium, fabby black Circle of 5ths diagram. The full size version you pickup after signup rocks, and would make a great background. 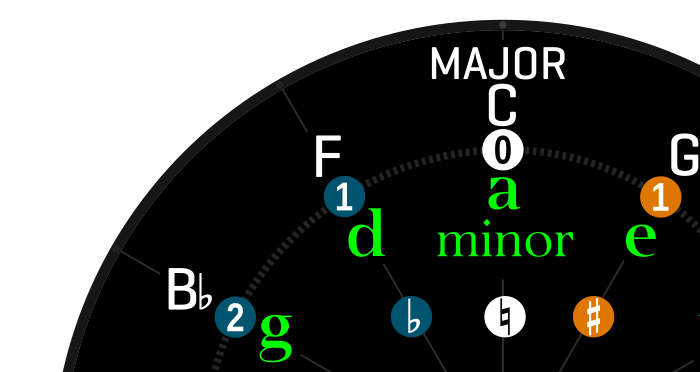 And how about this new, clear, super-colorful piano diagram showing all midi note names and frequencies.. ? This shows just the top of the piano.. the full version extends down to midi no 0. With tons more stuff on the way in the coming weeks..
After confirming your email, head to your downloads page and pickup the new content above. Please see the Privacy page - you can Cancel your signup at any time, and you will be unsubscribed from all emails.